Copyright 2019 Gus Ernst Company, Inc. • All rights reserved. 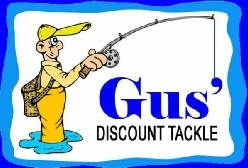 For over 60 years, Gus' Discount Fishing Tackle has specialized in offering a great selection of quality tackle at prices you can afford. The friendly service can't be beat, and the advice is always free. If you want flash and fancy fixtures, we're not for you. If you want to catch fish, save money on great tackle, and swap stories with other fishing junkies, come see us. And we have an ever-changing selection of fishing tackle, sporting goods, camping gear and outdoor clothing! Call Steph, or better yet, come in and browse! 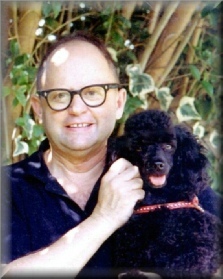 Gus Ernst founded Gus Ernst Company, Inc. over sixty years ago in San Francisco. He believed in offering customers a variety of merchandise with value pricing in an atmosphere of hominess and good humor. Gus is no longer with us, but his spirit lives on in the store and in his daughter, Steph, who has run the joint for the last thirty-five years.